Every time you go on a date, you're faced with 347 "rules" on how to act, what to say, when to call him, when to kiss him, and how to play "the game." These rules do more than just insult your intelligence: they spread anxiety, breed insecurity, make us all more cynical and, worse, when you follow the rules you might overlook your match. 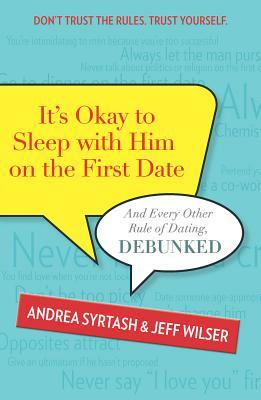 In this empowering he said/she said guide, relationship experts Andrea Syrtash and Jeff Wilser help us take off the rules-colored glasses. The truth is men don't care if you sleep with them on the first date. (If they like you, they'll want to see you again.) How to find success in love? Don't trust the rules; trust yourself.